When we wrote “The Threat Intelligence Handbook,” we wanted to ensure that it served as a guide for every security professional — we believe threat intelligence is invaluable for anyone and everyone in cybersecurity, provided you can use it effectively. The need for effective threat intelligence will only continue to grow as the digital realm increasingly becomes our reality. The rising number of devices that are always connected to the internet — from our home appliances, to cars, to huge industrial systems that control public infrastructure — points to a future where avoiding risk means having the ability to quickly cut through the noise and accurately identify real threats. We know from experience that threat intelligence helps you do just that, identifying risks faster and more accurately, avoiding countless hours manually sorting through data feeds and instead developing more accurate and insightful reports. But the way you leverage threat intelligence depends on your role. 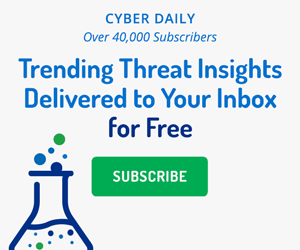 Threat intelligence isn’t just streams of data feeds that only expert analysts working in a security operations center will benefit from — teams that work in vulnerability management, risk analysis, fraud prevention, and security leadership positions will all find their lives made easier with threat intelligence. That’s why we broke down the chapters of the book by security roles. If you want to take a closer look at what’s inside, this handy infographic previews some of the key chapters and what you can learn from them. Our new handbook is designed to let you jump in at any point, so if any of these chapters are of interest to you, don’t wait to download your digital copy for free. It’s full of practical tips on how to start applying intelligence to speed up and increase the confidence of defenders everywhere. Our new Threat Intelligence Grader reveals the strengths and weaknesses of a security team’s current intelligence program and gives advice on how to improve.